Once you are ready to set up your email signature, open Front. From the top left corner, click on your profile picture, and then click Settings. 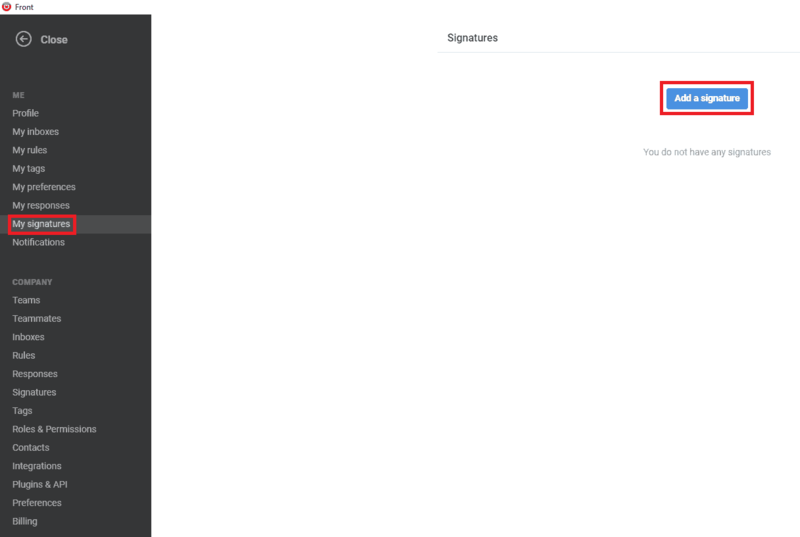 From the left menu column, select My signatures and then click the Add a signature button on the right. Fill out your Name, and the Sender Info. 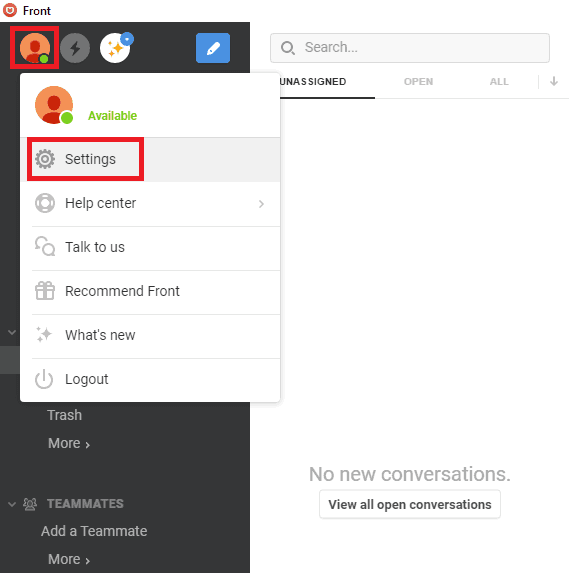 The sender info is what the recipient will see in the From: field when you send emails. 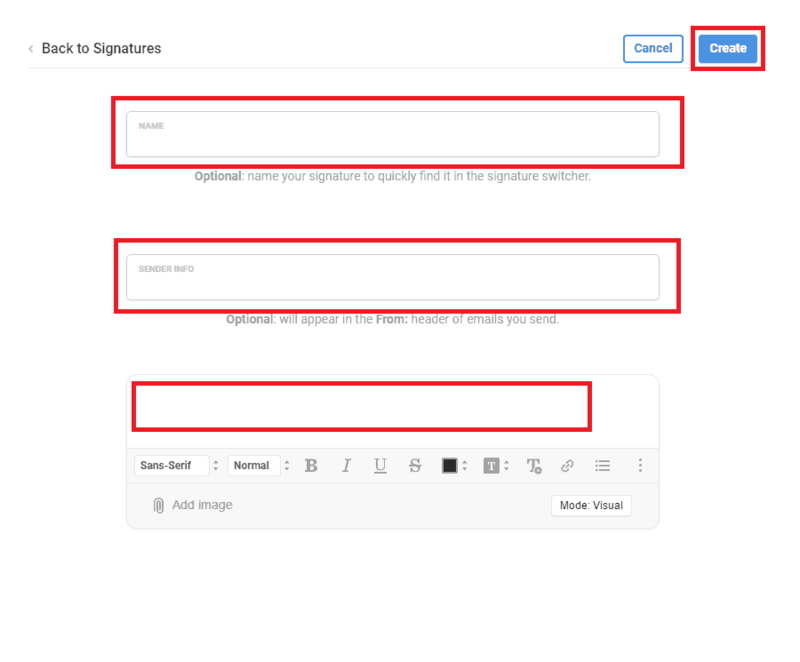 Paste your email signature into the text field below and click the Create button at the top.